(Reuters) - The U.S. Department of Defense said on Wednesday that a memo purporting to show the Pentagon asking for a national security review of chipmaker Broadcom Inc's $19 billion deal to buy software company CA Technologies was likely fake. Broadcom said in a statement that the two companies are American, "and there is no basis in fact or law for CFIUS review of our pending transaction." The Pentagon is looking into who wrote the fake memo, according to a spokeswoman. She said they considered it likely to be fake based on an initial assessment. The Committee on Foreign Investment in the United States (CFIUS) is the government panel that reviews deals for potential national security risks. Panel members include representatives of several U.S. agencies, including the Department of Defense and the Treasury Department. Senator Rand Paul's office, however, reiterated his call for a national security review of the deal, denying that a memo was behind the lawmaker's request for a review. Paul's office said in a statement that the planned merger raised "obvious national security implications." "Broadcom had national security issues in a CFIUS review just earlier this year and this review should be undertaken immediately," the statement said. Earlier this year, U.S. President Donald Trump blocked Broadcom's $117 billion hostile bid for semiconductor peer Qualcomm Inc, arguing it posed a threat to U.S. national security and gave an edge to Chinese companies looking to build next-generation wireless networks. Since then, Broadcom has redomiciled from Singapore to the United States, placing it formally outside the purview of CFIUS. 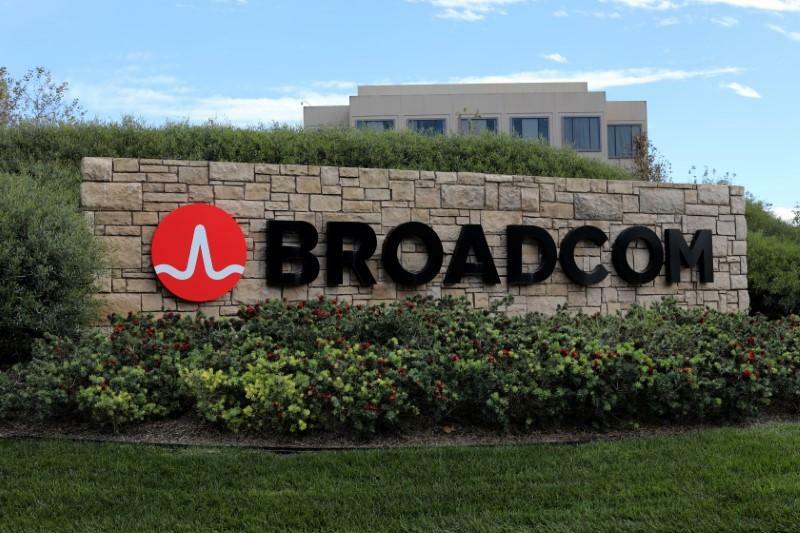 Shares of Broadcom were down 2.9 percent at $237.61 and those of CA slipped 2.3 percent to $43.01 in afternoon trading on the Nasdaq. Broadcom announced the deal to buy CA Technologies in July.